A 26-year-old man suffered life-threatening injuries in a roadside stabbing in Grant Hill that is being investigated Saturday as a possible gang incident. 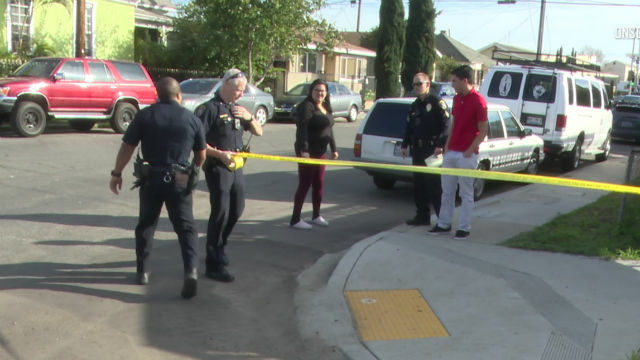 The victim was walking in the 100 block of 31st Street shortly after 2:30 p.m. on Friday when the suspect walked up to him, leading to a brawl where the suspect stabbed the victim multiple times, San Diego Police said. The suspect fled the scene and was last seen running eastbound on L Street, police said. He was described as a Hispanic male in his early-to-late 20s, short and thin, wearing blue jeans, a dark beanie but no shirt. Anyone with information on the stabbing was asked to call San Diego County Crime Stoppers at (888) 580-8477.